If you are planning to move in or out of Northfield, NJ, Optimum Moving is an exceptional mover that will ensure a successful relocation without any hiccups. Moving is our specialty and we serve both the residential and commercial moving markets. From the planning stage to the actual move, you can be sure that all your moving needs are well taken care of. Situated in Atlantic County, Northfield (or the Gateway to the Shore) is located approximately seven miles west of Atlantic City. The city has a total area of more than 3.4 square miles and borders the municipalities of Linwood, Pleasantville and Egg Harbor Township. Northfield is a pleasant city to live in because of its favorable climate, nearby beaches and entertainment venues. What’s more, it boasts a 271 acre park that you can unwind at after a hectic day. 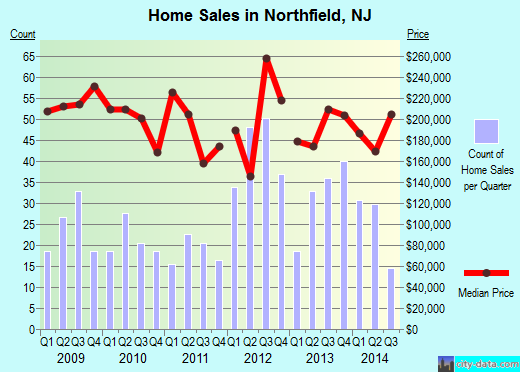 In Northfield, New Jersey, the average house costs about $225,230 and usually features at least three bedrooms. Renters (approximately 10% of the entire population) live in this city for an average of one year here while property owners live in their houses or condos for an average of 17 years. Surveys also show that residents in Northfield stay for long time durations, with 71% of its 8,620 residents living in the same house for five years on average. At Optimum Moving, we make sure that moving is a positive experience for our all customers. As our professional staff members are well trained to handle all types of moving tasks, and they can easily take the stress factor out of any move, long distance moves included. Moving out of Northfield, NJ? We got you covered too. We are always up to date with the latest moving trends innovations and we have the right equipment to handle and secure move big-sized items, especially those that are delicate or fragile. Try our services today to ensure a hassle-free move in Northfield! Want to learn more about a Northfield Move?